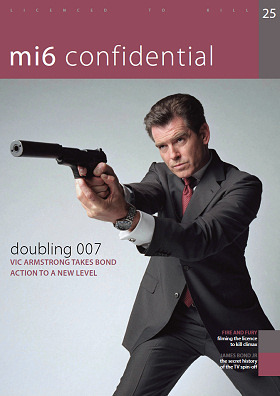 MI6 Confidential magazine has confirmed that back issue #25 has now sold out. Just last month, the latest issue - #26 - sold out in a week. Be sure to complete your set of MI6 Confidential back-issues before others sell out. Selective back issues are still available to order in limited numbers from the magazine's website.